Wiiwarewave's google plus profile is now released ! Well people, here it is ! here at wiiwarewave have created a google plus profile ! For those of you who have a google plus profile, you can follow our profile to receive the latest news, reviews and more from this website ! for those of you who don't have a google plus profile... well you can still bookmark our profile ! So then head over to our recently created google plus profile in the link below ! 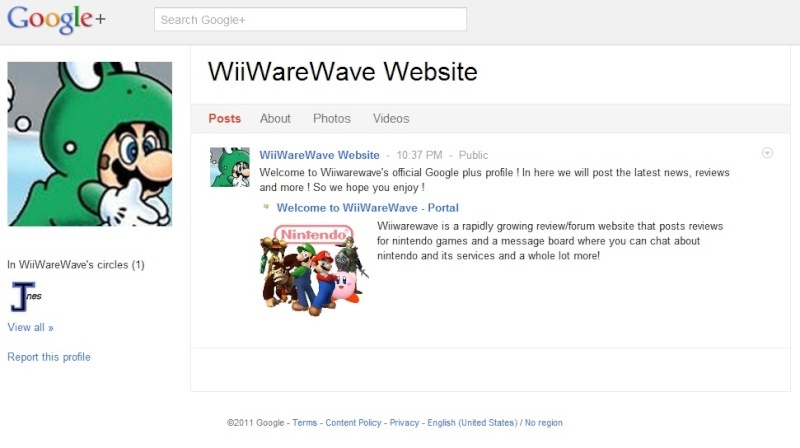 Wiiwarewave's google plus profile ! Re: Wiiwarewave's google plus profile is now released !